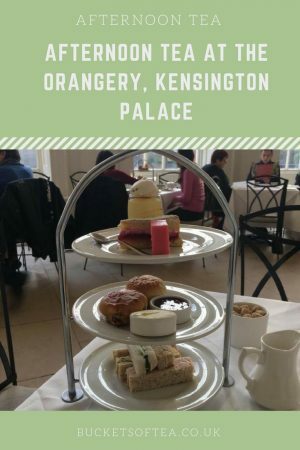 Last October I was lucky enough to be in London for a meeting near Kensington Gardens and decided to visit The Orangery at Kensington Palace for afternoon tea. 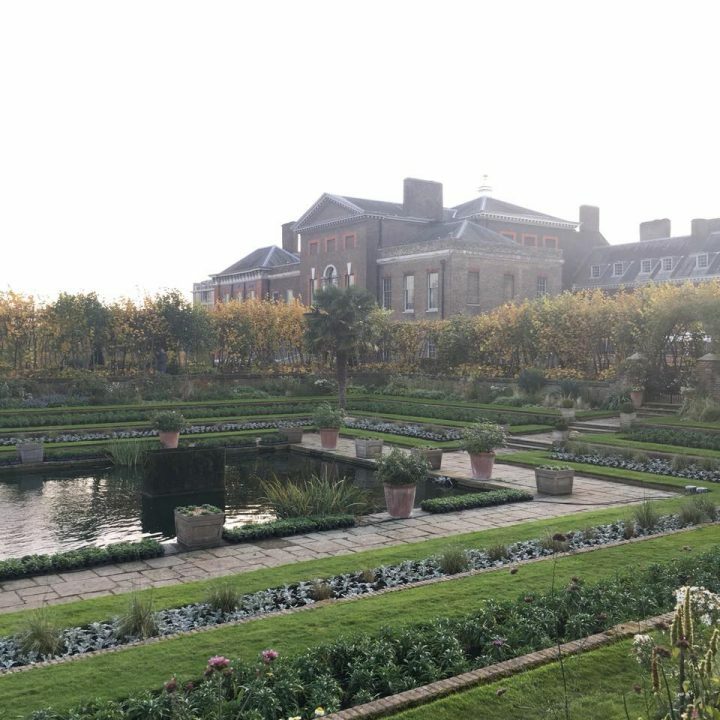 It was a Chris but bright October day and I had a walk around the palace gardens first. 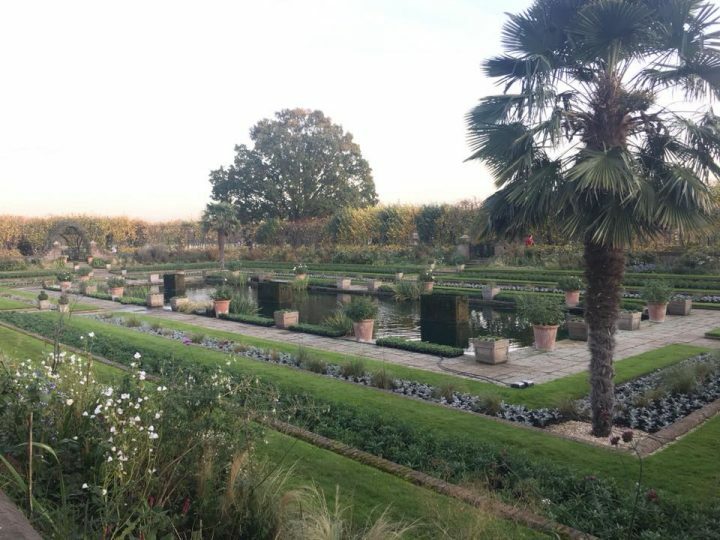 The gardens are beautifully kept and even in October looked stunning with the perfect boarders and potted evergreens. The Orangery overlooks the Sunken Garden which was planted in 1908 and is terraced with paving and ornamental flower beds. The vibrant colours and exotic planting provide a peaceful, yet stunning backdrop for the orangery’s classic afternoon tea. The orangery which was built by Queen Anne in 1704 as not only a greenhouse but also a space for entertainment. The detailed carvings of the interior are truly stunning and remains intact today. 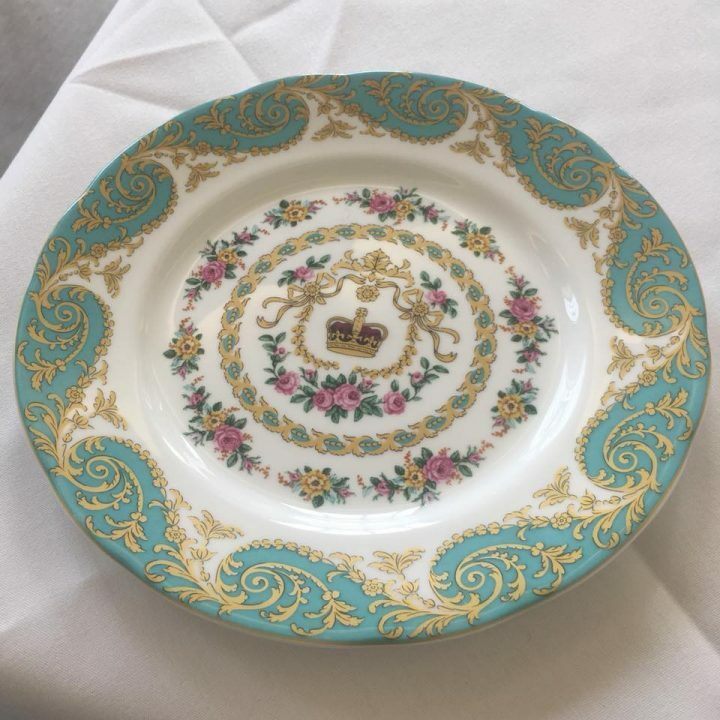 The crockery is absoluetly gorgeous too! The inricate painting must have taken many hours to do. I really would have loved to take a set home with me but I think I may have ended up in the Tower of London if I did! 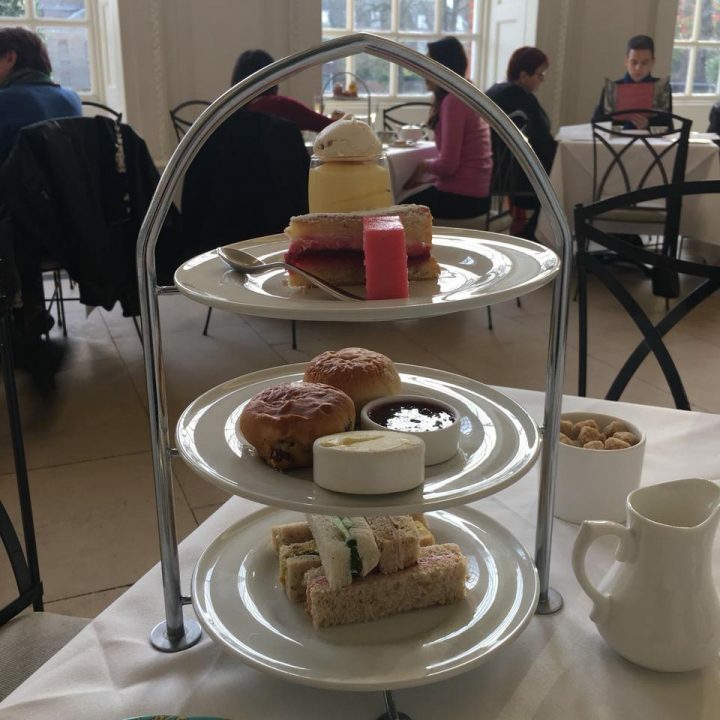 The afternoon tea was brought to the table along with the most lovely tasting Palace Breakfast Tea and a glass of sparkling rose. 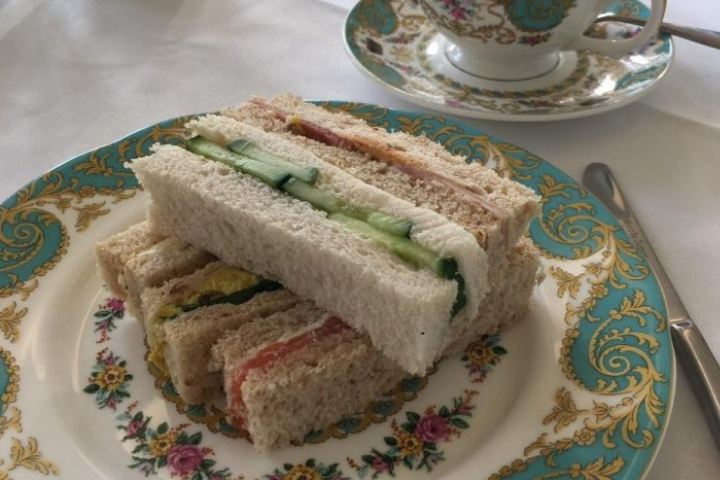 The selection of afternoon tea sandwiches consisted of chicken and avocado, prawn cocktail, egg mayonnaise, tuna and cucumber, smoked salmon and cream cheese. All of the sandwiches were generously filled with tasty fresh white and brown bread. 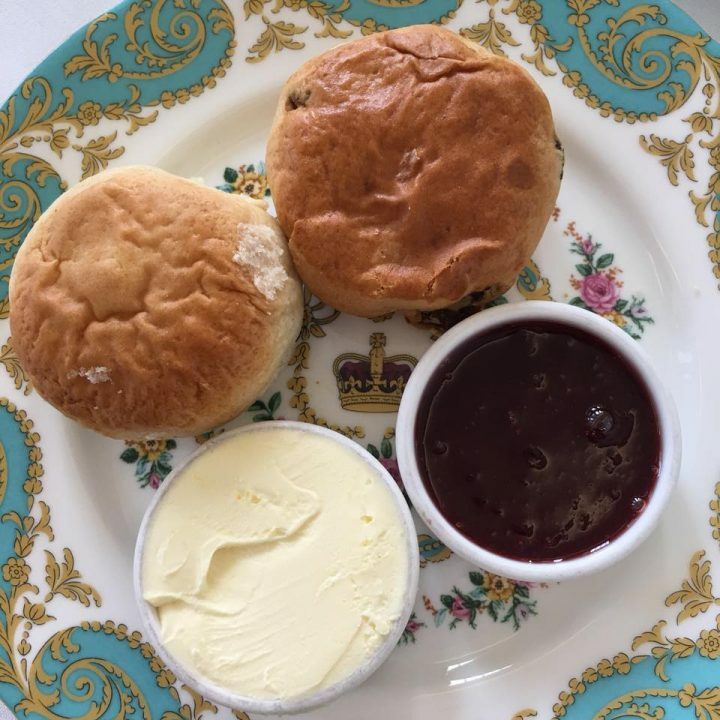 There were two scones; one plain and one with fruit and were made Welsh butter and accompanied by clotted cream and strawberry preserve. 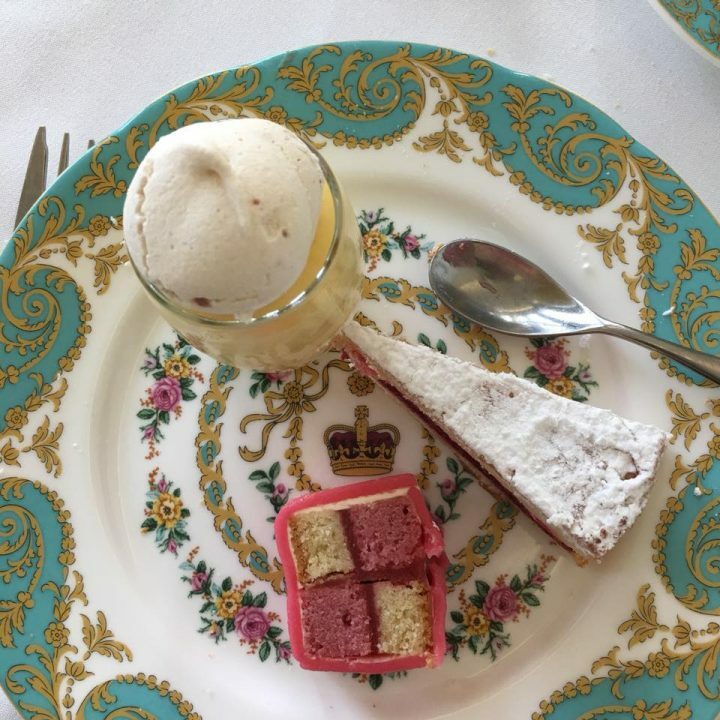 The sweet course consisted of a selection of afternoon tea cakes; a slice of bakewell tart, a lemon mousse topped with a meringue and a slice of battenberg cake. 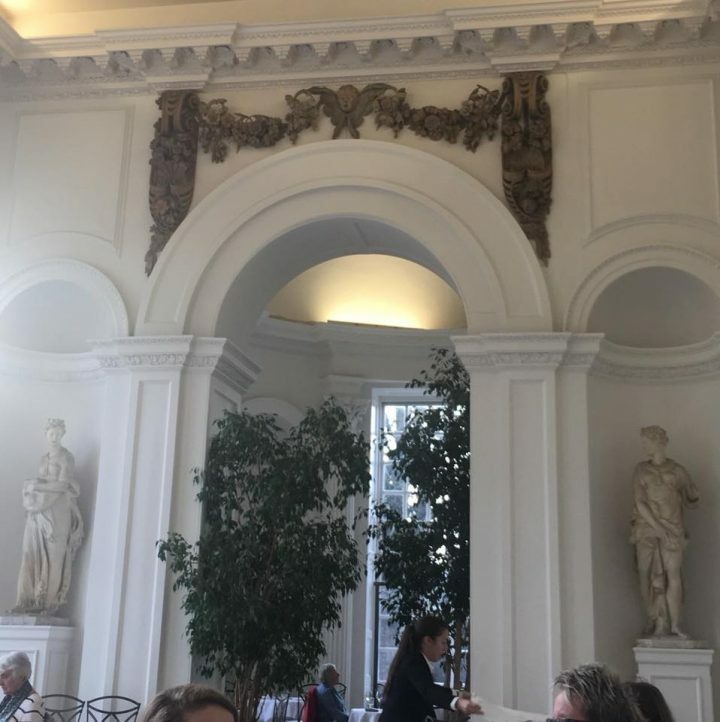 I thouroughly enjoyed the afternoon tea at Kensignton Palace and would certaily like to return again. 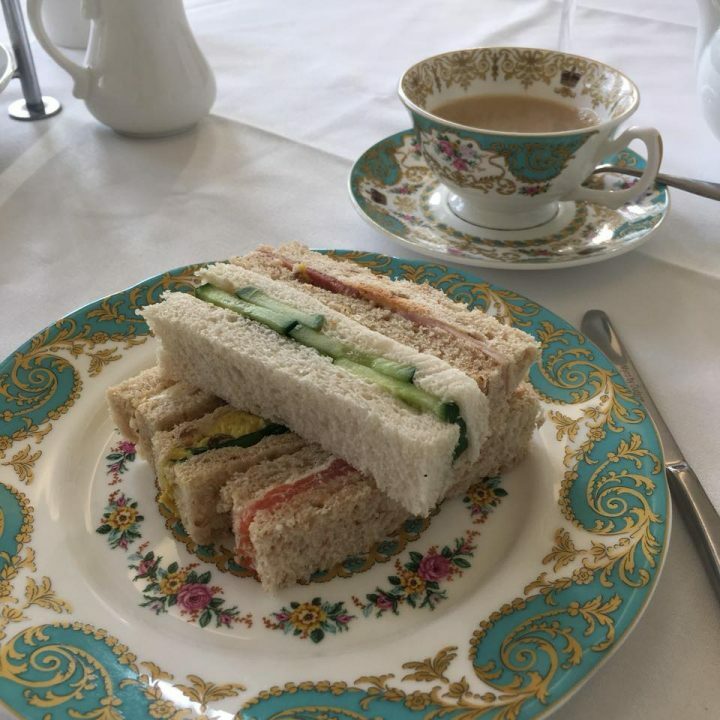 The afternoon tea is currently priced at £30 each with the optional addition of sparkling rose (£36), Pimm’s (£36.50) and English sparkling wine (£40). There is also a gluten free option available as well as children’s afternoon tea priced at £16. Bookings can be made here.